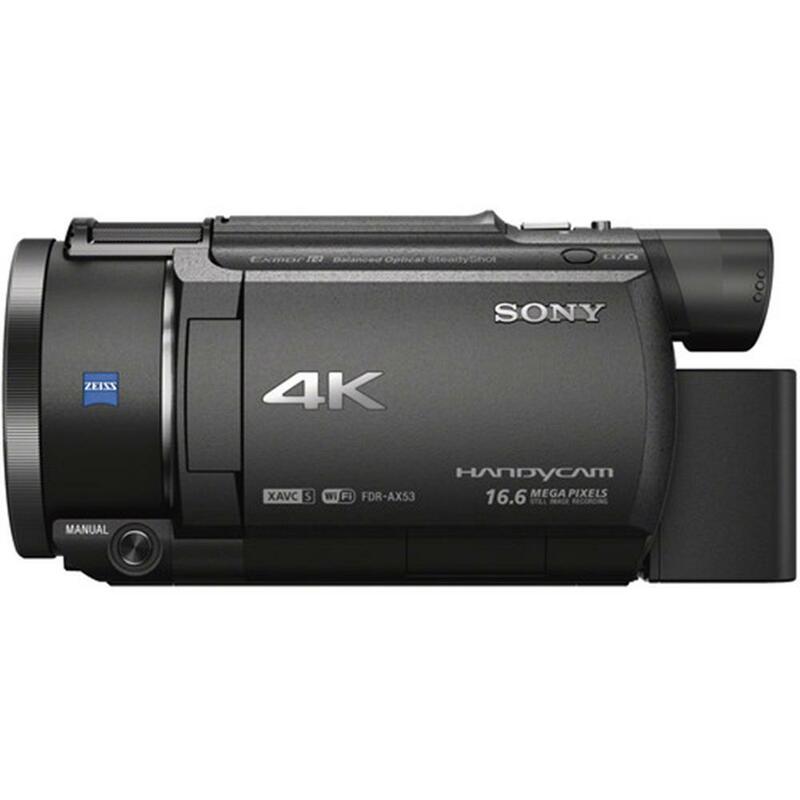 Henrys.com : SONY FDR-AX53 4K CAMCORDER 20X 3"
A newly developed image sensor, with pixels of approximately 1.6 times bigger size, offers superior sensitivity for capturing beautiful high-quality images with less noise under dark as well as bright shooting conditions. Whether you're shooting movies or still images, the class-leading wide-angle lens can help you capture more of landscapes and indoor scenes, when you don't have enough room to step back. 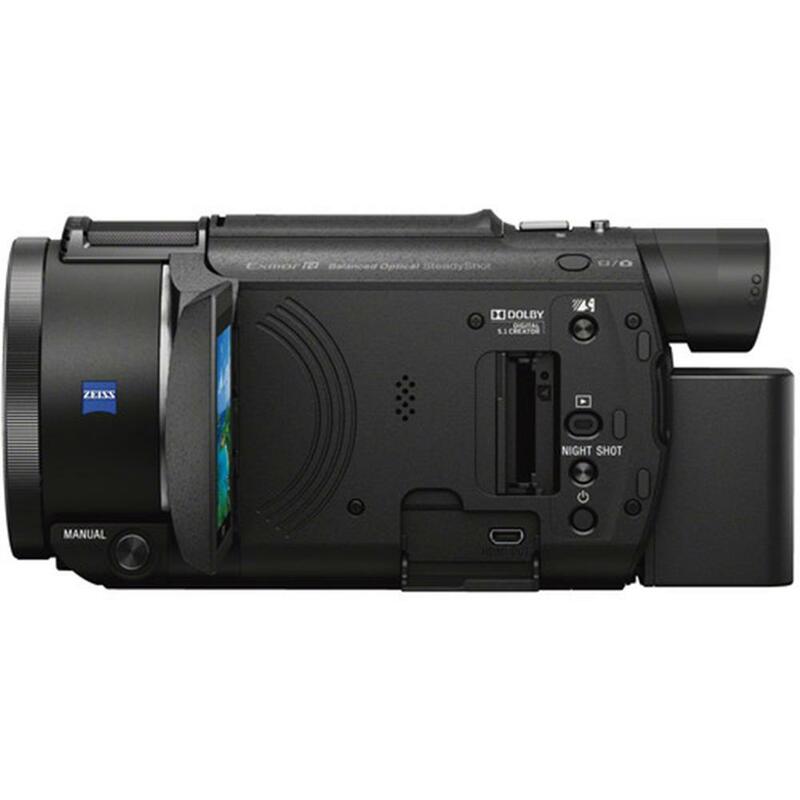 Even without a wide conversion lens, the camcorder shoots as wide as 26.8 mm1 (16:9 aspect ratio) in movie mode. Advanced image stabilization suppresses camera shake to stabilize a movie as it is being shot within the wide-angle-to-telephoto zoom range. In HD shooting mode, it further reduces effects of camera shake even under unstable conditions with 5-axis Intelligent Active mode compensating for vibration in five different directions, so you can shoot stable high-quality movies even while running. 20x optical zoom lens and Clear Image Zoom of 30x/40x (for 4K/HD) allow you to shoot far away subjects and capture memorable moments. Its new structural design enables the microphone to gather clearer sound from five directions with approx. 40% less noise and twice as effective15 2ch stereo (for XAVC S shooting) and three times as effective 5.1ch surround (for AVCHD shooting) sound performance. This makes it possible to faithfully reproduce audio with clearly defined separation. 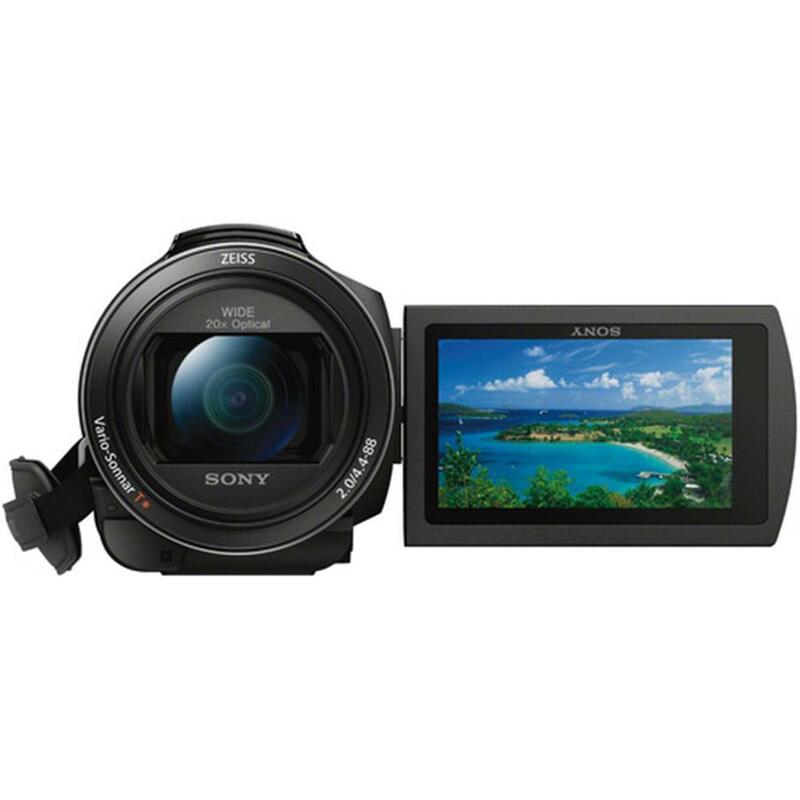 Shoot in Full HD at 120/100 fps (NTSC/PAL), edit the footage after shooting, and the resulting slow-motion images of the movie will look startlingly smooth and sharp in playback. 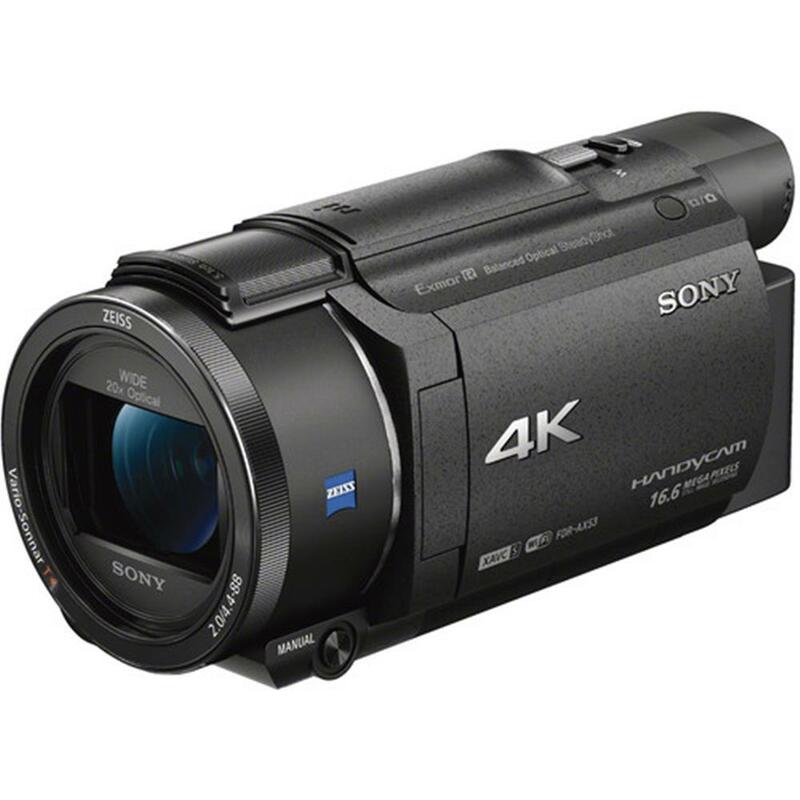 This is excellent for reviewing, in greater slow-motion detail, sports and everyday action that can occur too quickly in real time for you to see clearly. By employing XAVC S format, which was developed from the XAVC format for professional use, 4K 100 Mbps and Full HD 50 Mbps high-bitrate recording create incredibly high-quality images. Yet, XAVC S data is compressed so that it is more manageable for general consumers. This feature uses infrared light to take images even in complete darkness. By using NIGHTSHOT, parents can easily capture children's cute sleeping faces. Use Face Detection to optimize focus, exposure and color for people who are the most important subject of a shot. You can prioritize a subject's face by touching it on the LCD. And with Smile Shutter, the camera can also automatically capture still shots of great (but fleeting) smiles, even while recording movies. 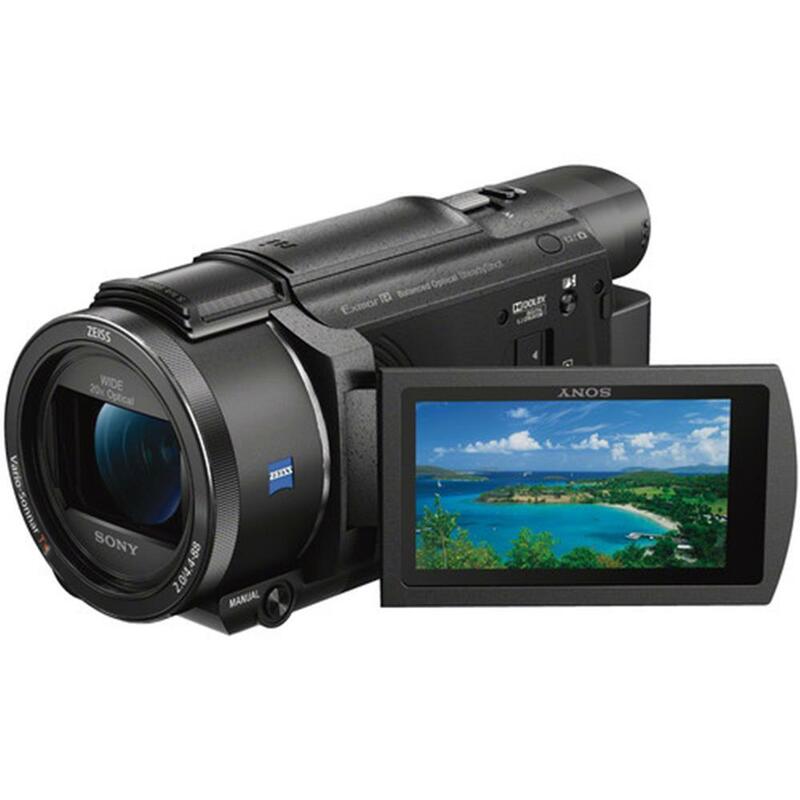 Record two movies at the same time - one in the maximum-quality XAVC S or AVCHD format and another in MP4 format. That way you've got a small file ready for instant sharing, plus a professional-grade file for further editing. More shots mean more editing opportunities. 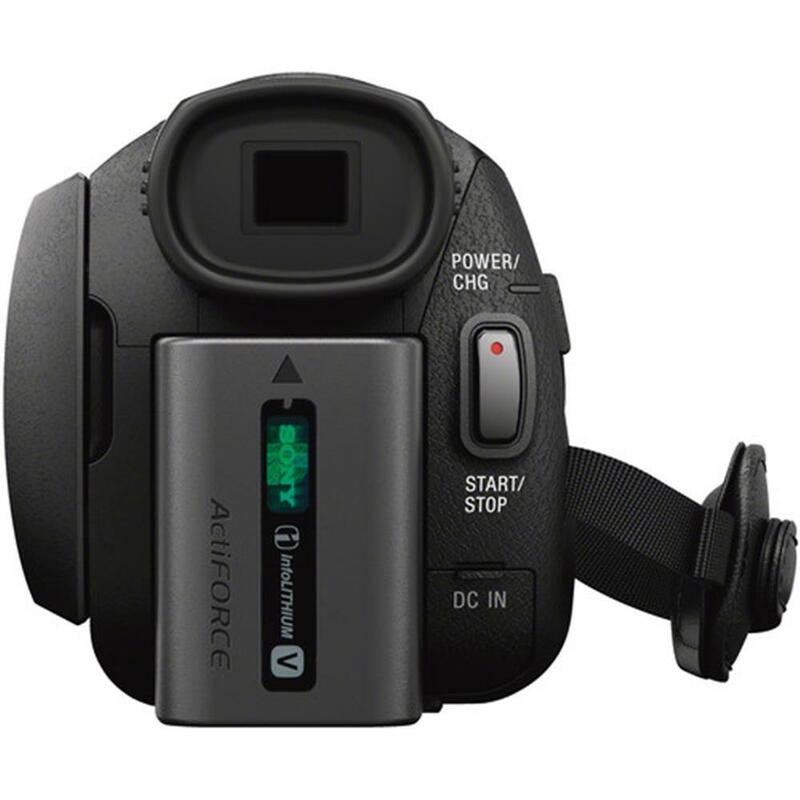 Easily record footage from a variety of angles, whether using cameras mounted directly to the Handycam or triggered wirelessly. Multi Camera Control makes it easy to sync shooting settings on compatible Wi-Fi connected devices.